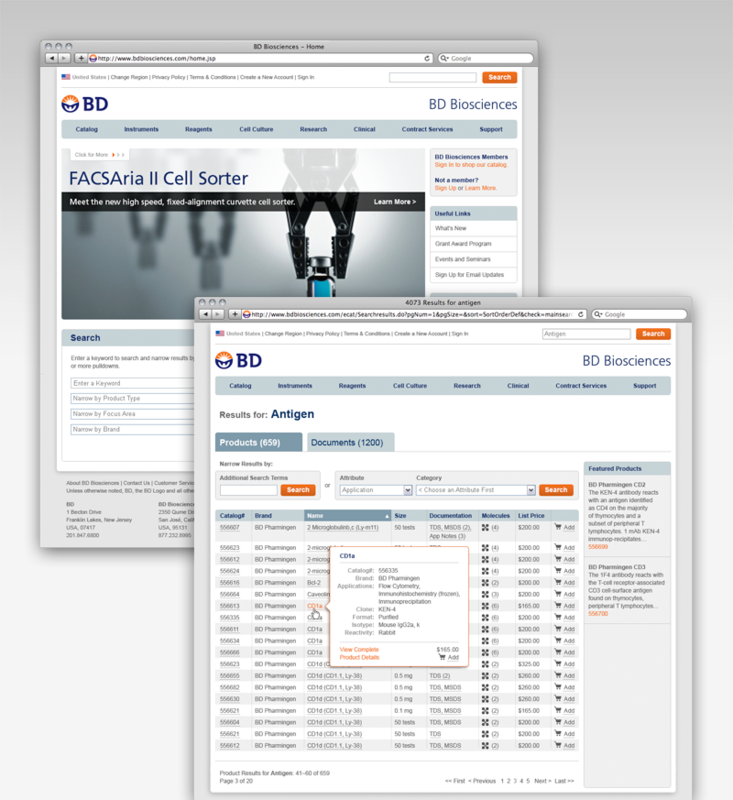 DDO has been working with BD Biosciences, a business unit of Becton, Dickinson, for three years. We began our work by re-creating the taxonomy for the site’s online product catalog, which involved reorganizing thousands of product SKUs. As we worked on the organization of the online catalog, we simultaneously worked with an internal engineering team to redesign the search application used by customers to find BD products—both in the store and within the site. We then were asked to look at the entire site and create a new information architecture. DDO led a complete redesign of the site, identifying information elements and page types, creating templates for pages, and working with an internal team to bring up the redesigned site in a new CMS system.